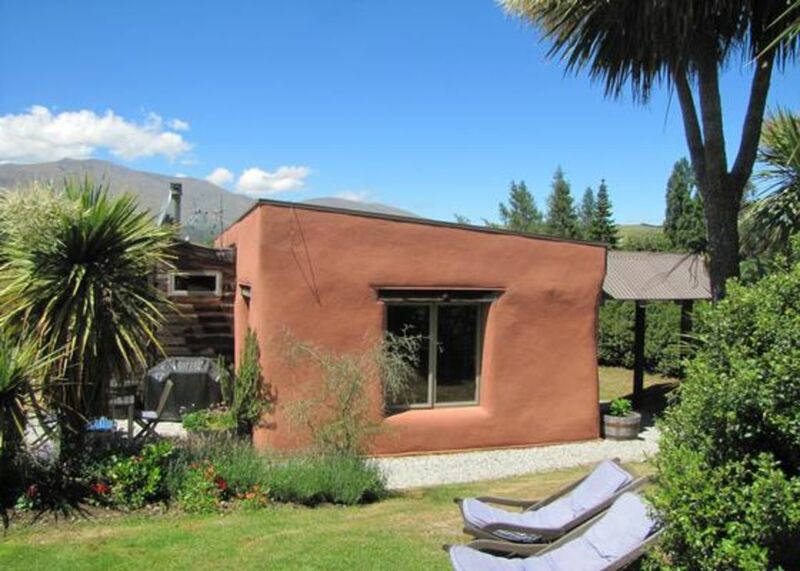 Tussock Cottage is situated in the South Island of New Zealand, at stunning Lake Hayes near historic Arrowtown, and a short drive to Queenstown. This unique straw bale cottage is fully self contained with an outside garden area with a barbecue. It is private and tranquil, with fabulous mountain and lake views. Tussock Cottage has a queen size bedroom and spacious living area with cooking and dining facilities. A two minute walk to Lake Hayes and its walking track; swimming, fishing or kayaking are literally at your door step. And that is just the start of it ! Golf courses, art galleries, ski fields, vineyards, great dining and shopping, and of course adventure sports, all within easy driving distance. Your hosts Lee and Jaap, are licensed tour operators and take great enjoyment in sharing their local knowledge with their guests. Location was perfect -lovely views of snow capped mountains , and close proximity to cycle trails . A great introduction to strawbale ecco housing . Tussock cottage punches above its weight ! Tussock cottage punches above its weight ! Location, style, warmth, amenities, gorgeousness and a large comfy bed ! What more could you ask for ? Totally recommend this charming cottage, ideal for a couple. Totally recommend this charming cottage, ideal for a couple. Very peacefully comfortable and charming. Amazing location with good facilities. The location is 20 minutes or so from Queenstown and nicely situated for hiking and relaxing.